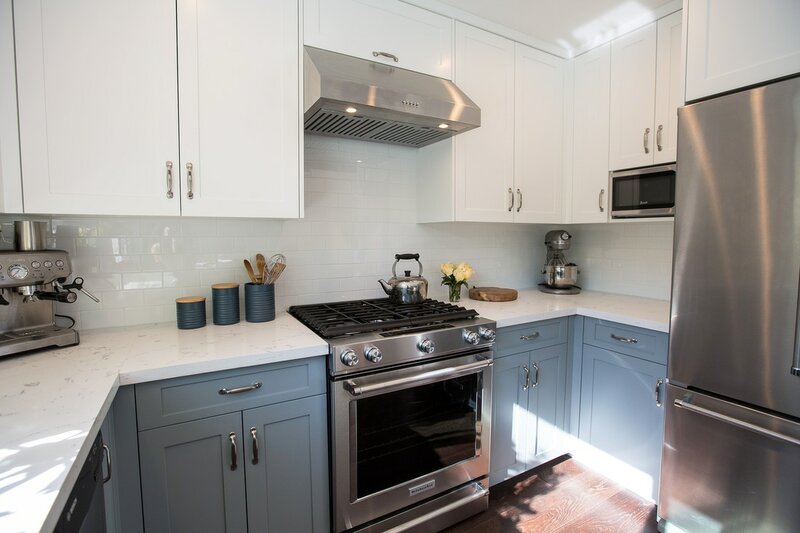 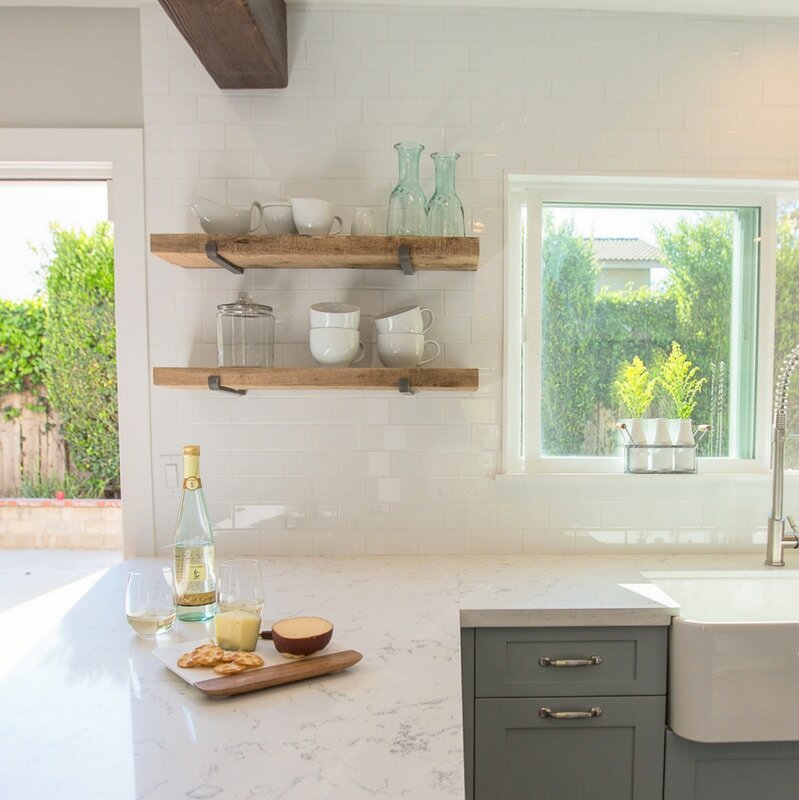 Sweet, simple Farmhouse style kitchen with a classic color palette of white & gray​. 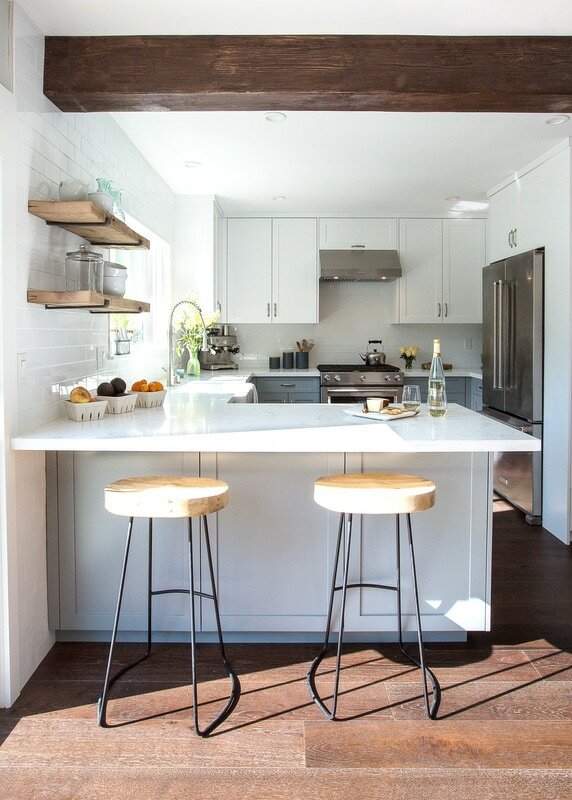 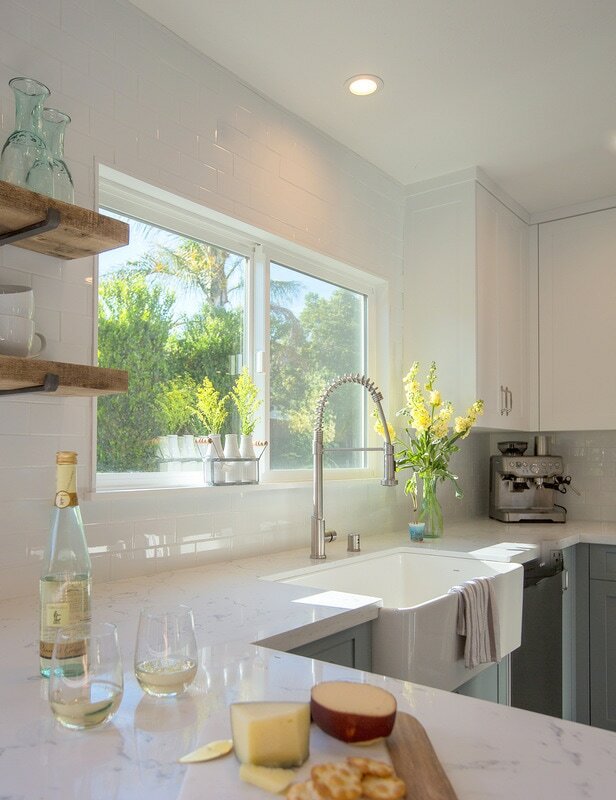 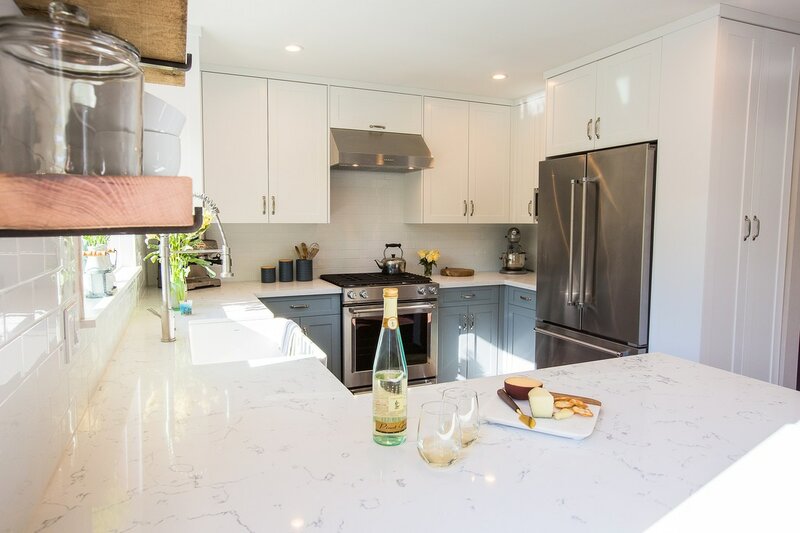 Sleek and modern design with subway tile back splash and faux marble counters. 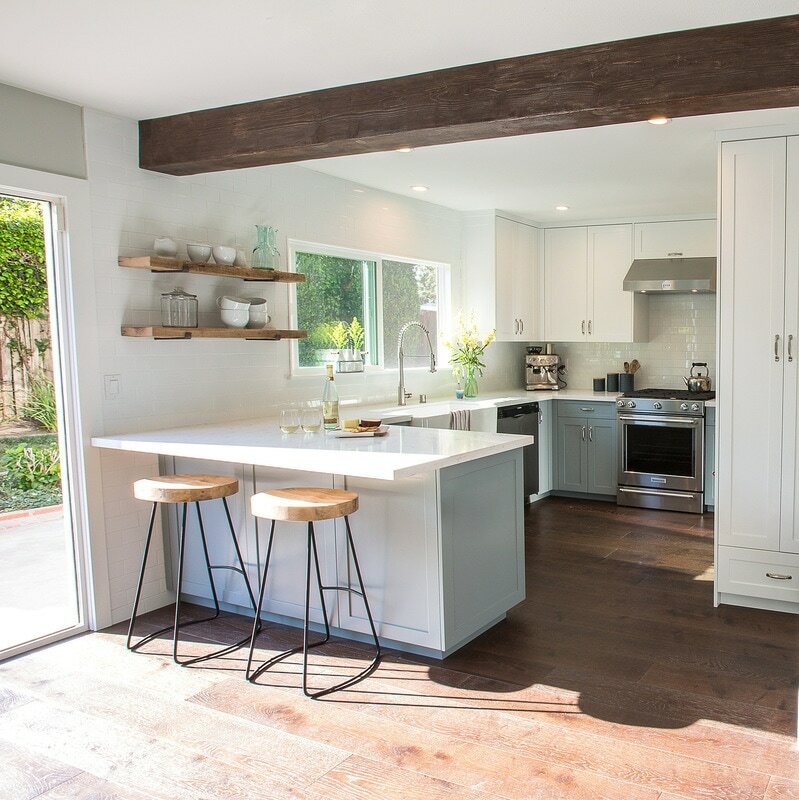 We maximized the space adding a full height pantry & expanding the peninsula counter.